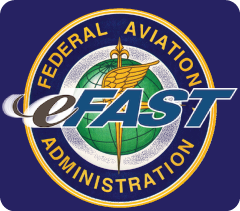 With eFast, the Federal Aviation Administration entered into multiple Master Ordering Agreements (MOAs) with Small Businesses, 8(a), Women-Owned, Socially and Economically Disadvantaged Businesses (SEDB) to provide comprehensive management, engineering and technical support services. As a multi-year MOA program offering a wide array of labor categories with fixed ceiling rates, eFAST is the FAA’s preferred acquisition vehicle for fulfilling Agency Small Business goals. The ConceptSolutions Team supports these eFAST functional areas: Air Transportation Support (ATS), Business Administration & Management (BAM), Engineering Services (ES), Computer Systems Support (CSS), Documentation & Training (D&T), Computer/Information Systems Development (CSD). For more information about how we can support your organization, please contact us at (703) 889-8444 or online at efast@Concept-Solutions.com.